On Sunday 29th January 2012 David Tennant hosted the ceremoney to announce the winners of the first ever the BBC Audio Drama Awards in the Radio Theatre at BBC Broadcasting House, London. David Tennant was also nominated and won the Best Actor In An Audio Drama Award for Kafka The Musical in the awards. 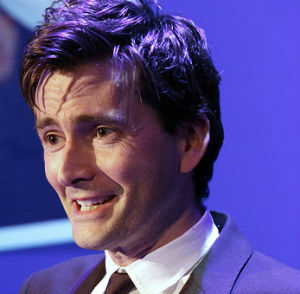 Posts on Blogger related to David Tennant at the BBC Audio Drama Awards.